Bienvenue to the authentic French Crepes shop of Fremantle. Michele's has been operating at the Fremantle Markets for over 21 years. 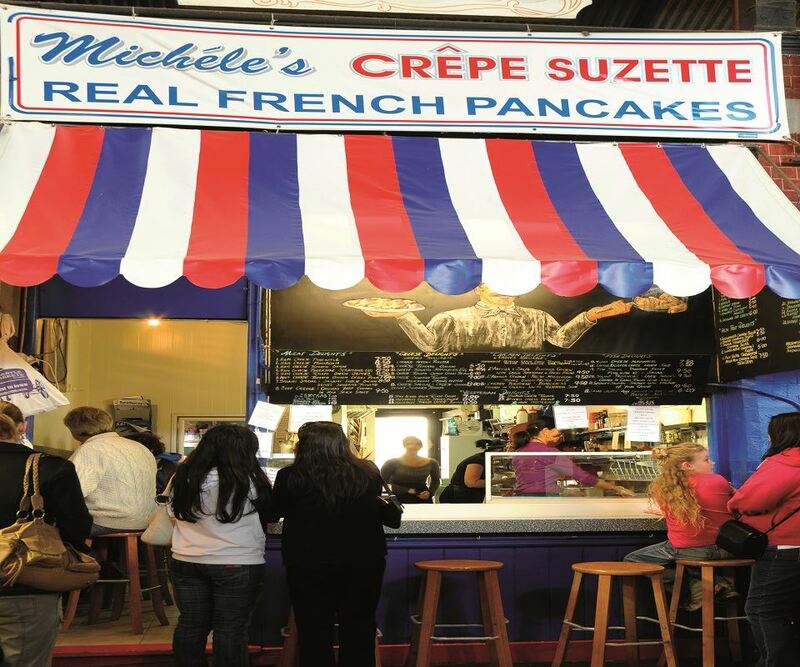 Her shop is famous for its range of authentic French crepes both sweet and savoury. Come and enjoy a fresh coffee and be tempted by her delicious range of crepes and warm friendly service. The combinations are endless! Crepes, drinks, sweet crepes, savoury crepes, vegetarian crepes, coffee, dairy free crepes, rice batter crepes, wholemeal crepes, spinach crepes, egg free crepes.